Support Dr. 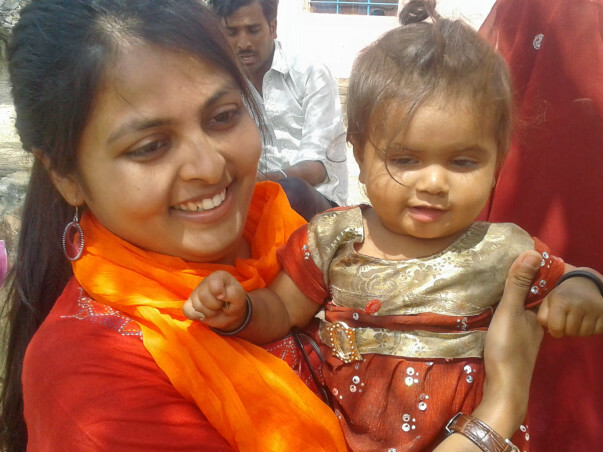 Pretty experience Jagriti Yatra to make change happen. It gives me immense pleasure in sharing with everyone that I have been selected for this year’s Jagriti Yatra in December. 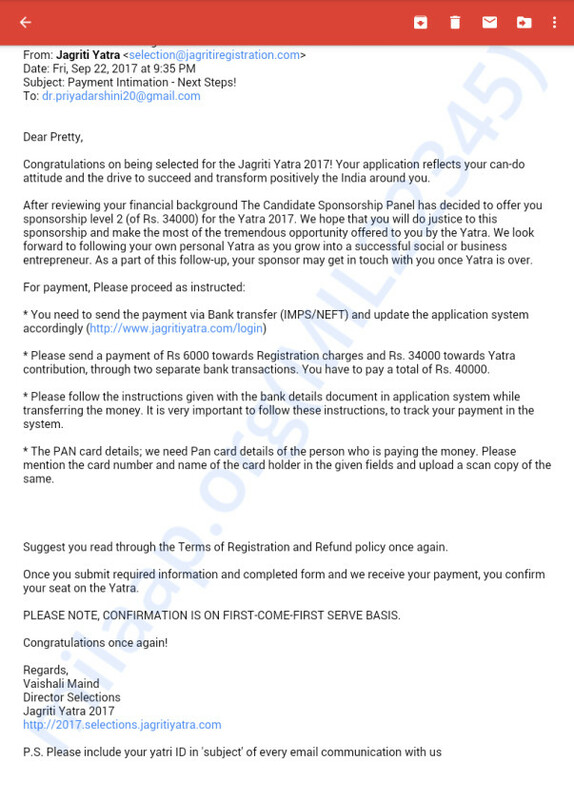 Jagriti has offered me level 2 scholarship which costs 46,000 in total including the initial travelling and I am in need of this amount. I am grateful to Jagriti for this generosity as the Yatra in total costs one lakh. And here I am requesting all my friends and well wishers to contribute accordingly. Every support will be significant in taking me a step ahead and help in experiencing this 15 days transforming Yatra. As the timeline for payment is nearing, I request everyone to contribute as early as possible. Currently I am working as an SBI Youth for India Fellow in villages of Rajasthan on women's reproductive health and children's immunisation programs. And here after I will be striving hard to expand the bandwidth of my work. Thanks to the contribution of all. I am able to take participation in the Jagriti Yatra. Soon I will share my experiences about my Yatra. Keep an eye on my Social Media Handle. The last few days had been amazing. The response was great and tremendous. I am grateful to each and every one of you who are helping me to make this happen. The yatra starts on 24th December this year and I dedicate this to my friends, colleagues, co-fellows, seniors, juniors, and my respectable professors and mentors. Kindly spread the message in your respective circles regarding the final stage of campaign. Each and every word, encouragement, and wishes are precious for me. Thank you for being there. A big thank you to each one of you. The amount so far donated through this campaign has been tremendously significant. There is a long way to go but I am optimistic by everyone's gesture, encouragement, and generosity. I will be using this amount as part of payment for this prestigious Yatra. I greatly appreciate everyone's commitment in starting this campaign. Bring some change to the community you work with.